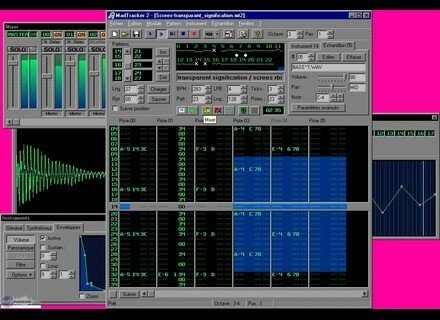 MadTracker, Sound Tracker from MadTracker. Installation is facillisime. The software as a shareware, no record "paper" available, but online help trs complte, although qu'incompltement translated into French, which is moreover not very g ing. A real home studio in your PC for 40 euros. This software is a true miracle. I use MadTracker since Fall 2001. 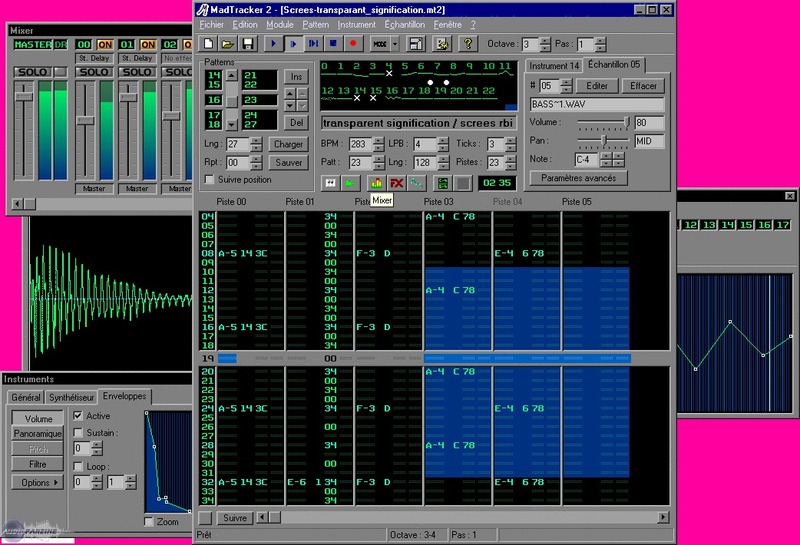 Being accustomed composition as tools soundtracking, j'tais my ease in the interface, but I can imagine nanmoins that adaptation is not easy for a regular Cubase & co. The report price is most excellent quality: For 40 euros, and as long as you possdiez a fairly rich sound bank, this software allows you to create soundtracks to the professional level. Ebourifant!